French Born, Native son of the great state of Kansas. Raised by a single- parent Mother, he is the third of six children. As a senior at Leavenworth Sr. High, Bobby received 5 Nominations to West Point. Bobby King is a Human Resources Executive, a Business Systems advocate, Cultural Change Expert and LGBTQI Ally. He holds a B.S. degree in Political Science from Tennessee State University and a M.A. degree in Organizational Management from the University of Phoenix. Bobby is a certified O.D. Consultant and a Six Sigma Brown belt. He has worked internationally for global high tech giants like Oracle, Apple and Seagate Technologies. Early in his career, Bobby held leadership positions for Xerox, Coca-Cola, Norrell Services, Kroger and Ohmeda Medical Systems (a subsidiary of the British Oxygen Corporation). Prior to joining Kaiser Permanente as the Director of the Office of Equity, Inclusion & Diversity, Bobby served 7 years as the Chief Human Resources Officer for the City of Longmont in Colorado. 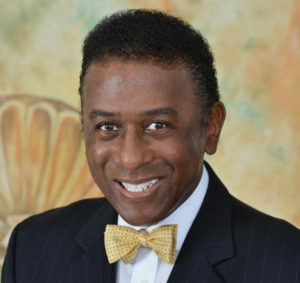 A life member of Kappa Alpha Psi Fraternity Inc., the National Association of African Americans in Human Resources and a member of the National Association of Health Services Executives. Bobby serves on the Board of Directors for: Reach Out Read Colorado, The Native American Wellbriety Movement, Aurora Public Schools Foundation and the Executive Board for Global GPS for Adults. Bobby has three Children: Sergio (NY, NY), JoLyn and Chantal King (Portland, ME). His family has 4 generations of U.S. Military Service. In his spare time Bobby enjoys theater, music, golf, biking, mentoring and reading.